LeBron James can officially sign with a new NBA team if he chooses come July 1, and one of the few teams with a chance at getting him are the New Jersey Nets. Rapper Jay-Z is part-owner of the Nets, and also happens to be good friends with LeBron. The hip-hop mogul made an appearance on ‘The Late Show with David Letterman’ where he talked LeBron and the team’s new Russian billionaire owner, Mikhail Prokhorov, aka “the tall guy”. New Nets Owner in Jeopardy Over Ties to Dictator? Excitement has been building for the New Jersey Nets and the NBA in general over Russian billionaire Mikhail Prokhorov’s acquisition of the struggling franchise. He plans to move the team to Brooklyn, and has appeared on the CBS show “60 Minutes” in an attempt to help fill the void of uncertainty the American public may have about the NBA’s first potential foreign owner. Now New Jersey congressman Bill Pascrell Jr. says he will demand a government inquiry into the business dealings Prokhorov has had with Zimbabwe dictator Robert Mugabe, which could threaten his potential ownership of the Nets. 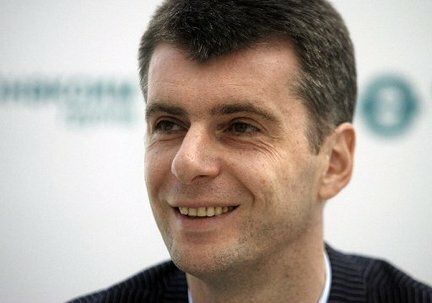 Or maybe this whole story is just a cover up, and Prokhorov wants to back out because he actually saw the Nets play.